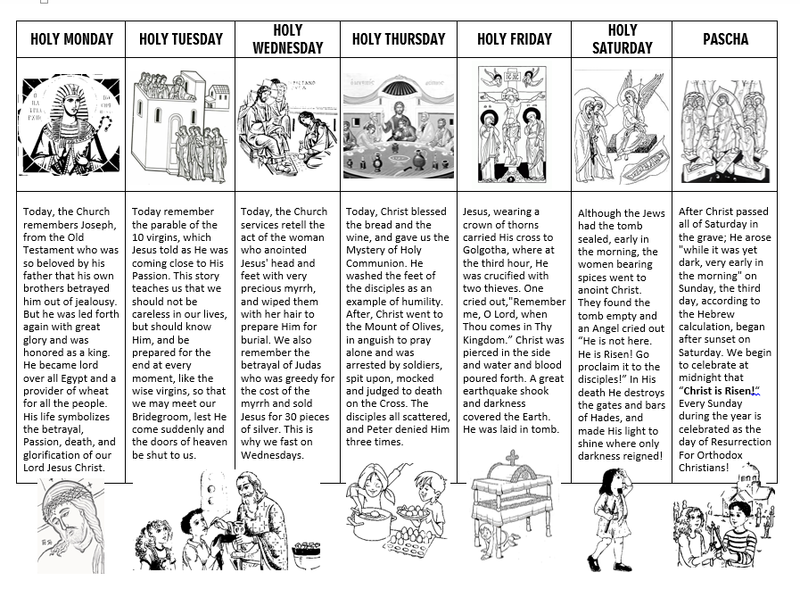 Download for free and print this helpful lesson in chart format HERE to remind your students about each day of Holy Week in the Orthodox Church. 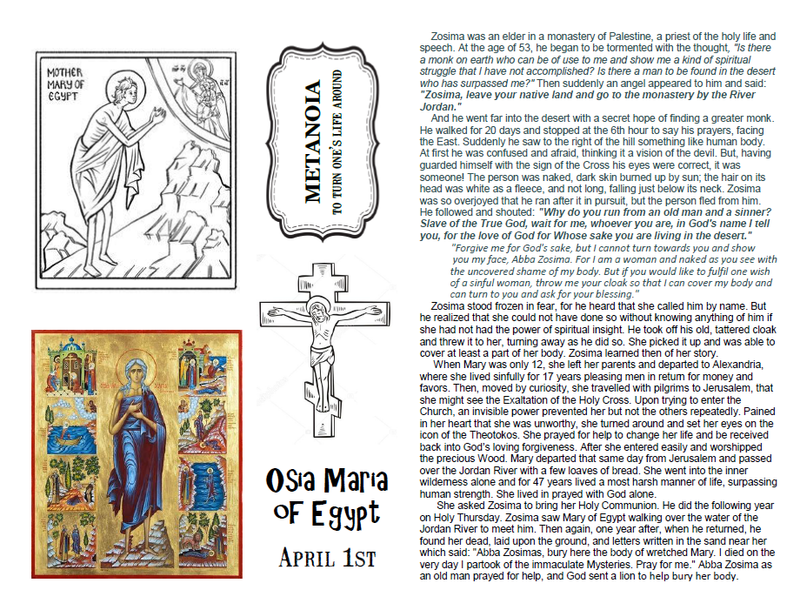 The PDF file is filled with icons and a short description that is easily understood to enrich your experience to Pascha! 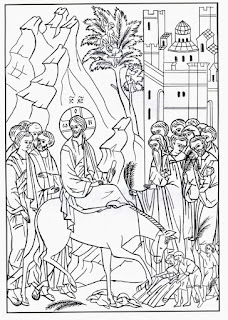 the Greek text to Xristos Anesti. 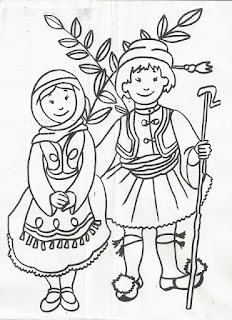 Join our Orthodox Kids Journal Project. All files are located here. 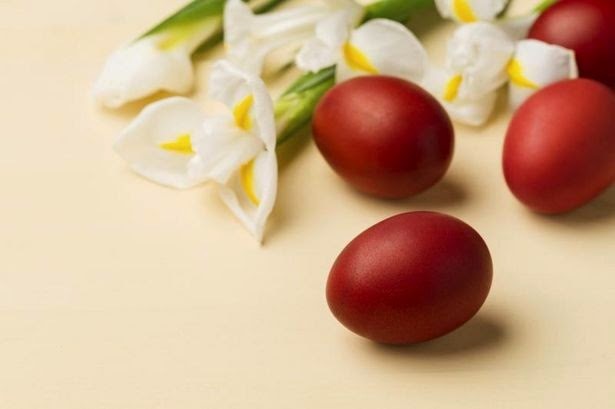 Wishing you and your families a blessed Pascha 2019! 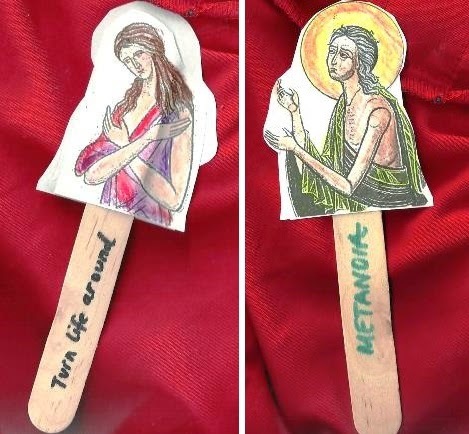 This is a great way to involve your kids in the Raising of Lazarus! Wrap them in "burial" cloth and see who will be first to break free on your command! 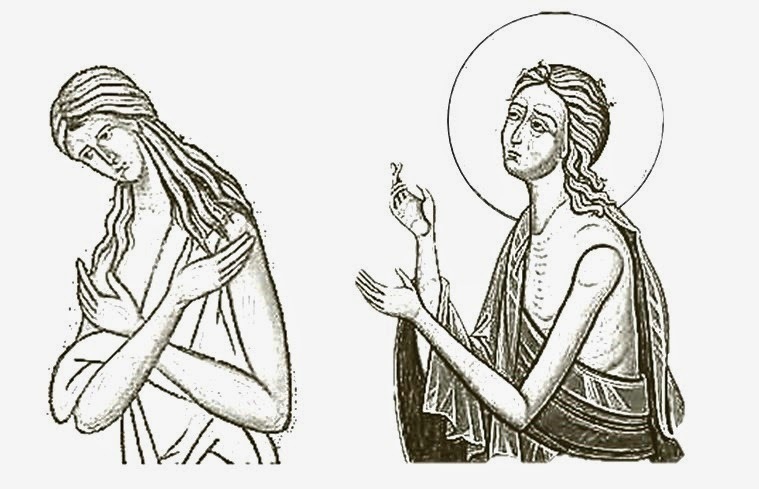 It's extremely significant that the Church places Lazarus Saturday exactly one week earlier than the Resurrection of Christ. 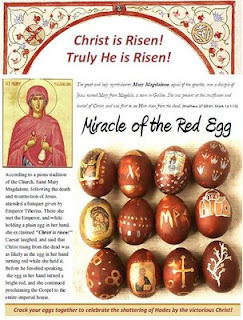 The miracle teaches us the power of God over death, so that we may learn to truly believe and have our faith transformed at Pascha. 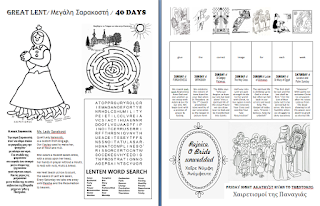 Just as we begin Holy Week, we get a glimpse and foretaste of the way God will save the world from the corruption of sin, from sickness and pain. As Christ said, Lazarus was merely sleeping. Although death had claimed him for four days in the tomb, and he smelled from the corruption of his body, he will live again. 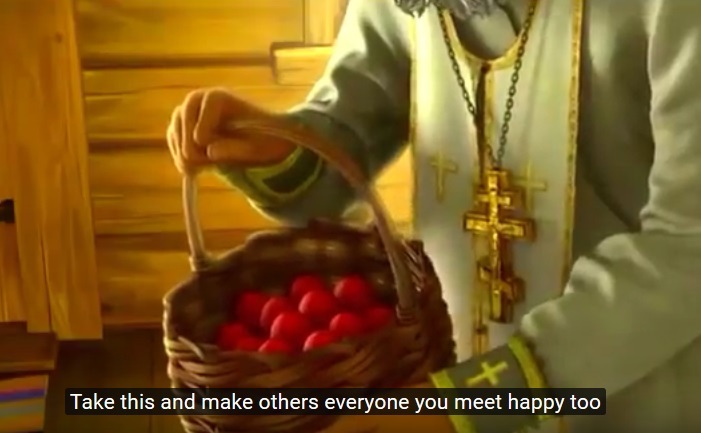 This is our Orthodox theology! Our view of death as sleeping in anticipation of whats to come. 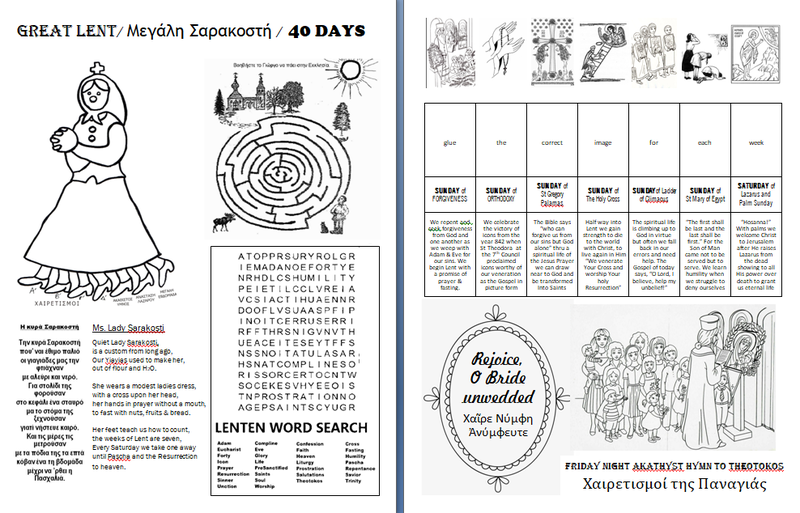 This is the joyful sorrow of what we are about to experience in Holy Week. We mourn, all the while expecting the greatest of all miracles! 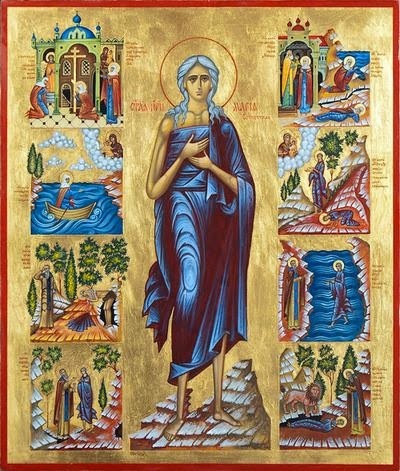 Lazarus is also one of the most convincing examples used to explain the respect, honor, and sanctity of the physical body in the Orthodox faith as we fully believe in the Resurrection of the BODY and the SOUL for eternal life. Although it remains a mystery, and we will not be in need of food as we'll be more like angels, we will indeed have our physical bodies. See Ezekiel 37:5. Lastly, remember: Lazarus is each one of us. Each and every time we attend a funeral or place a loved one in the grave, we should remember this very real example as a foretaste of our own earthly death. How does God feel about each one of us? 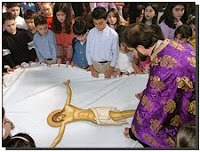 Does He weep for us as He wept for Lazarus? Is He a loving God that desires us to be with Him? Why has He allowed Lazarus to die? We find the answer in the words of Christ to His Father, which are for our benefit. He says, "So that they may believe." 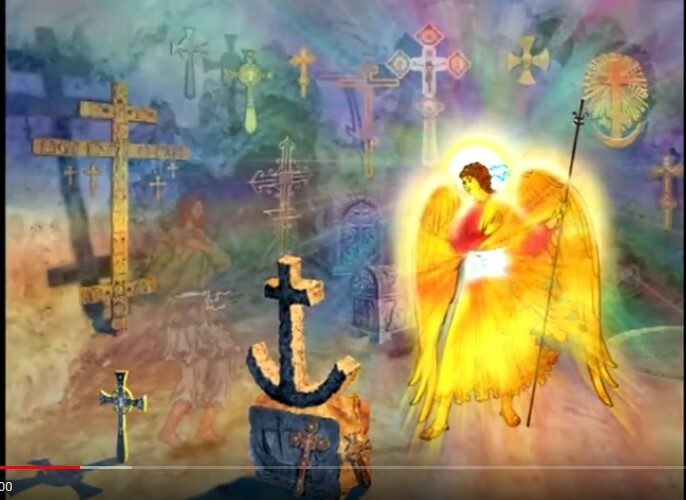 Christ attends the funeral to join the people in their sadness, to display His own mourning over all of humanity's fallen and deteriorated state, and to transform the event into a celebration of life! He turns our tears of sadness into tears of joy! 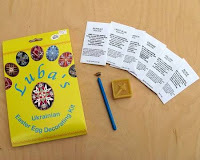 Give a try at writing a new language! 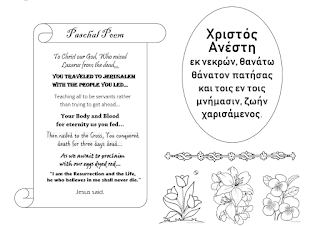 Ask your students to write "Christ is Risen" with the appropriate responses. 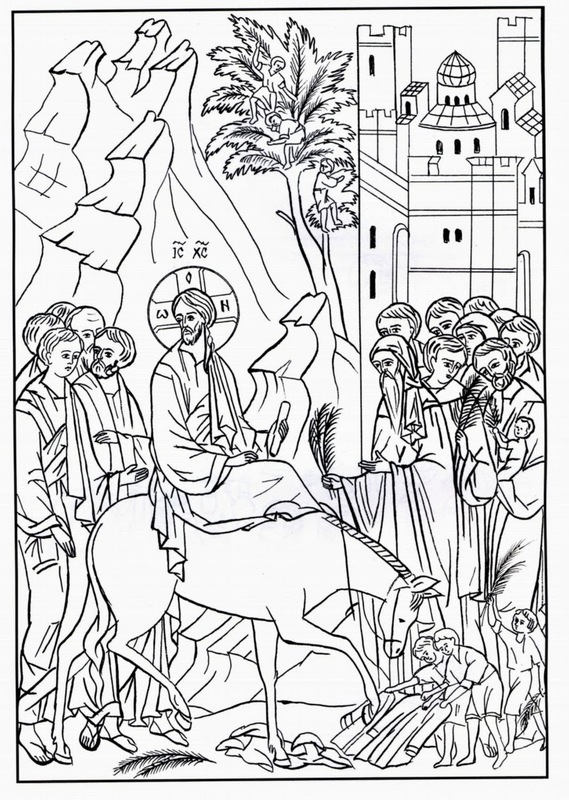 Print the letters inside the white spaces of the following foreign languages inside this beautiful illustration: Greek at the top, then Arabic, English and Slavonic. 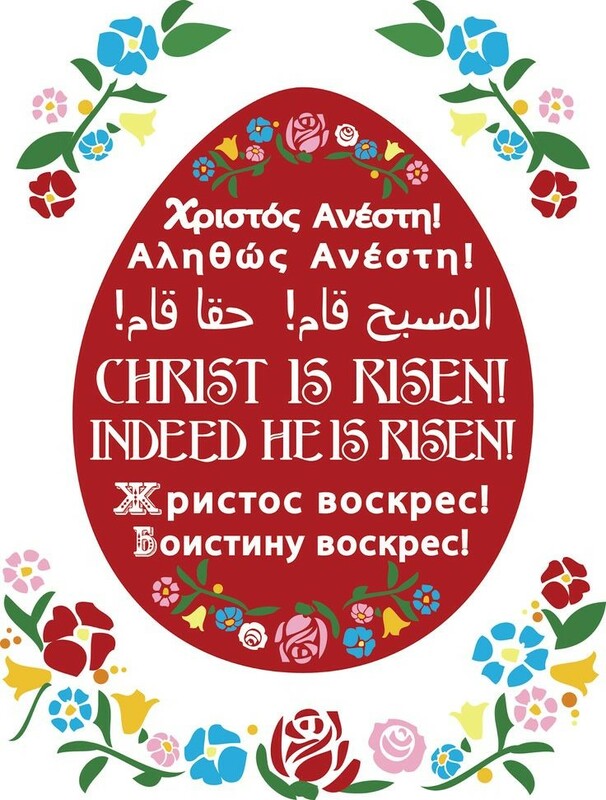 It's also a fantastic design for your Pascha basket covers if you know how to cross stitch or screenprint. 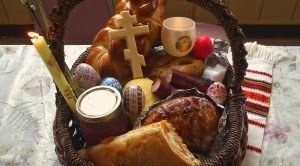 Kalo Pascha to your families! 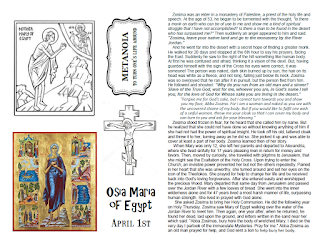 Download and print for free this handout with your students to learn both the story of Abba Zosima and Saint Mary of Egypt. 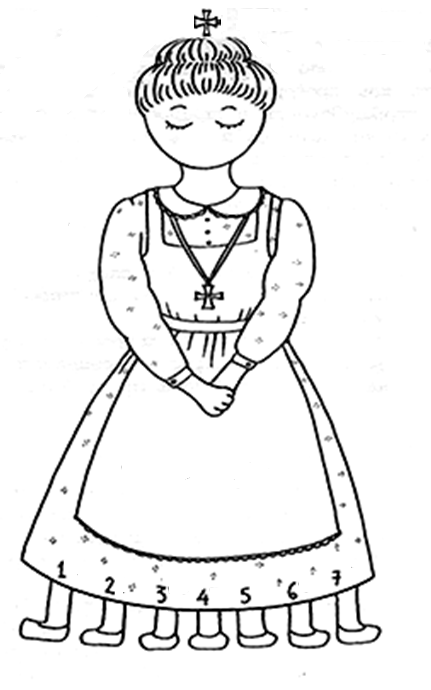 Her life is yearly commemorated on April 1st and also the 5th Sunday of Great Lent before Palm Sunday. "Every Sinner can become a Saint!" The PDF can be found here along with the other pages of our Orthodox Kids Journals. 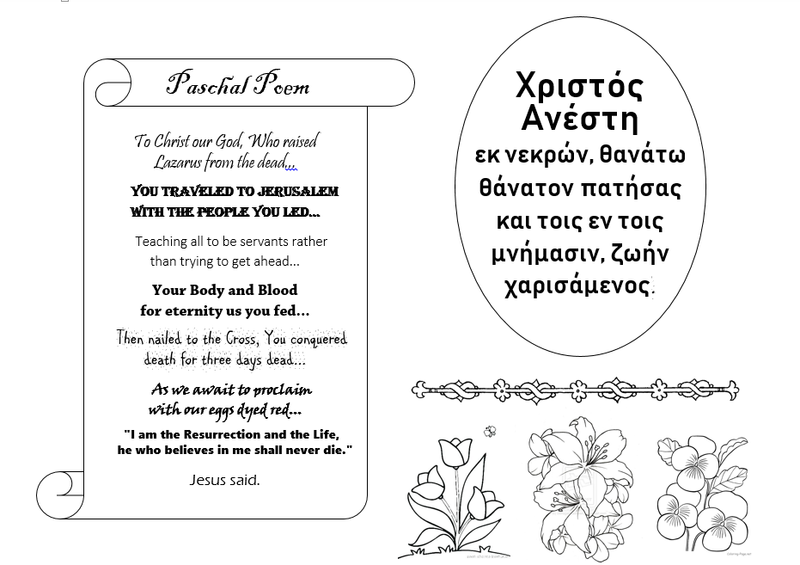 Practice your Paschal greetings in 59 languages! Be sure to print and save this one! in Holy Scripture, which helps to support why as Orthodox Christians we should avoid the use of the word "Easter"
and bear witness to the Gospel which is our risen Lord Jesus Christ, the Paschal Lamb! 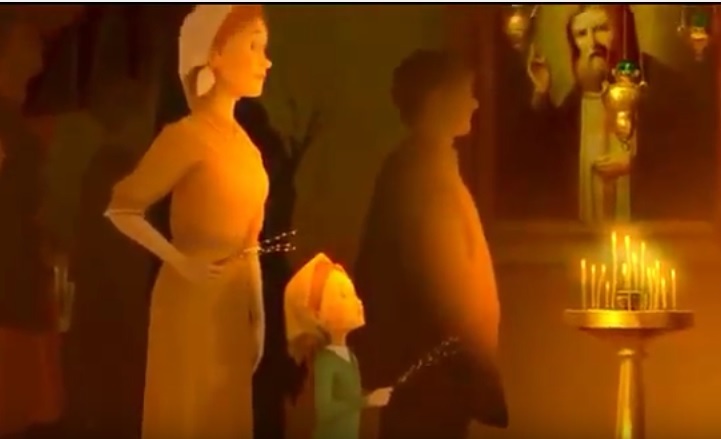 Click below to watch this beautiful Orthodox video with English subtitles for your children and Church youth groups this year. 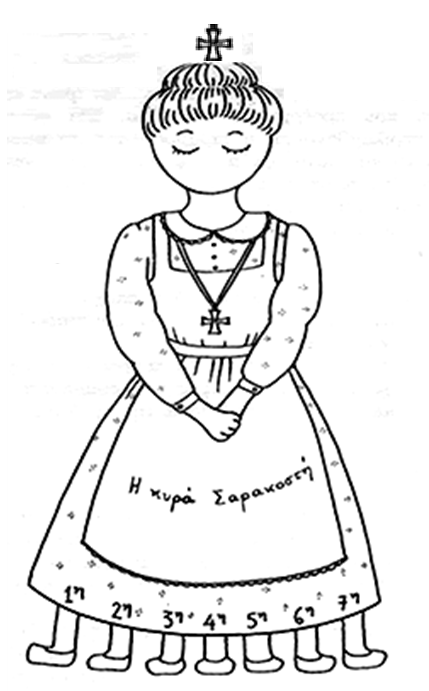 Without spoiling the end, it is remarkable how a young girl, named Seraphima spreads the message that "Christ is Risen" among other girls at an orphanage in Communist Russia. 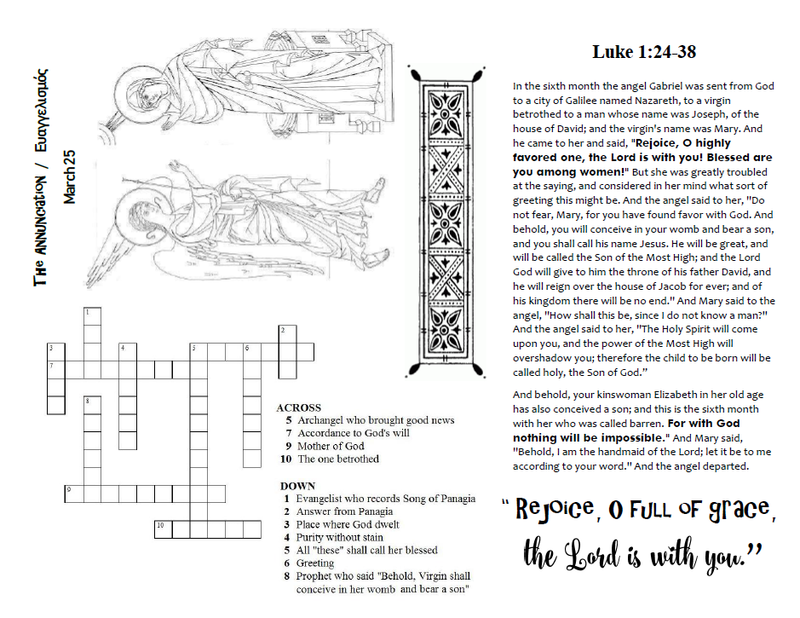 It is sure to inspire every young person in their faith! 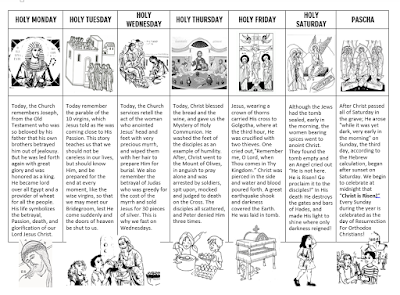 Use this free handout to learn the story of the great feastday of the Annunciation in the Orthodox Christian Church. The file can be downloaded for free here. 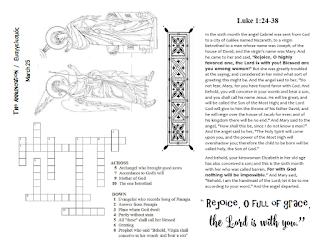 This worksheet is also the next entry in our Orthodox Kids Journals here progressing thru the Church year with glue, scissors and colors! 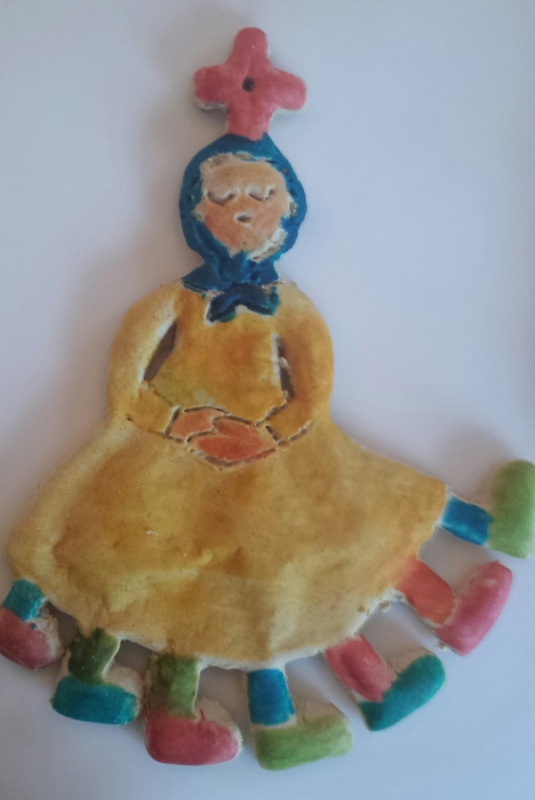 This year, we painted on food coloring before baking. Give it a try! 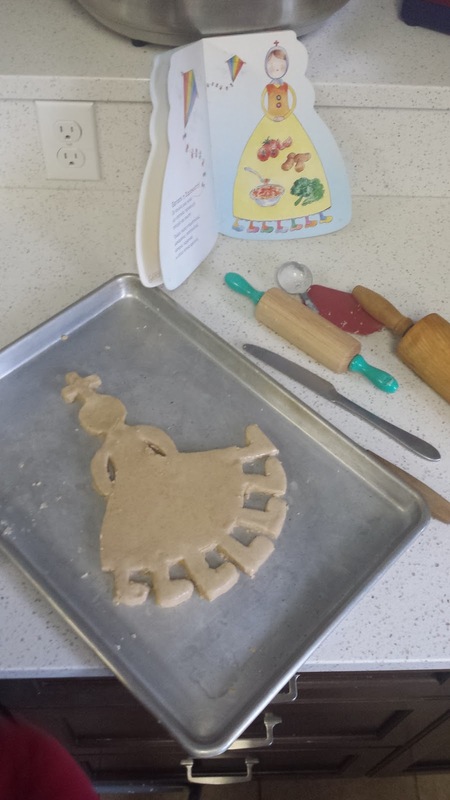 out of flour and H2O. to fast with fruits, nuts and bread. 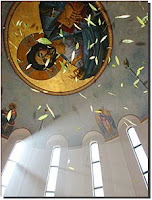 until Pascha and the Resurrection to heaven. Combine flour, salt and cinnamon in a medium sized bowl and gradually add enough water to form a stiff, but flexible dough. Roll dough out to 1/2" thickness. 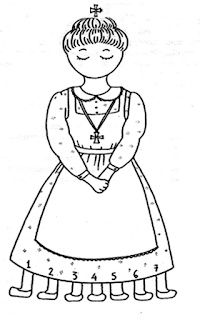 With a sharp knife cut out the figure as shown above. Cut out two long narrow strips for arms and join at shoulders (wet surface to which arms will be applied). 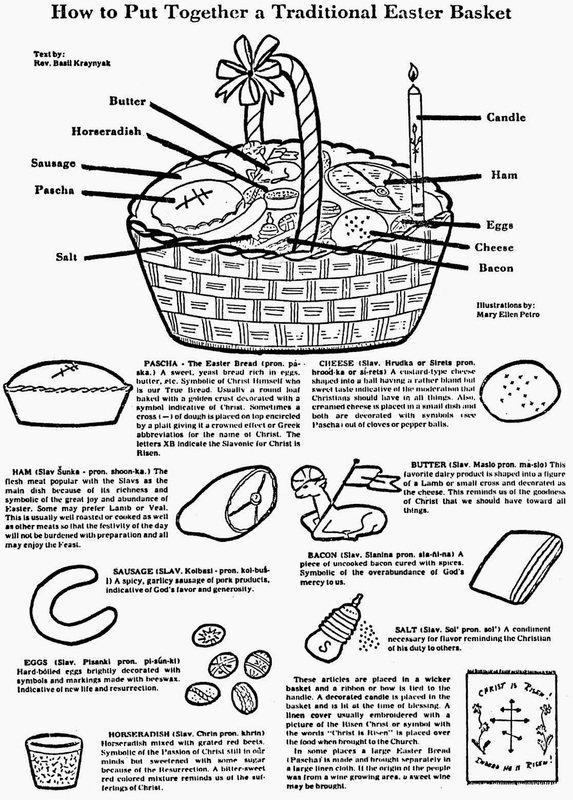 Make slits in dough for fingers. Mark closed eyelids and noise with pointed object. 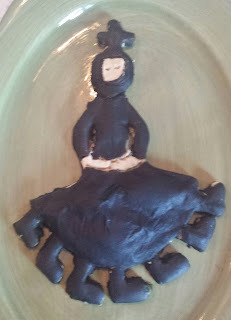 Wipe entire figure down with a lightly dampened cloth to make shiny. Bake in moderate oven until golden.